As usual I have the Playlist of the month coming to you, always on the 3rd of every single month. 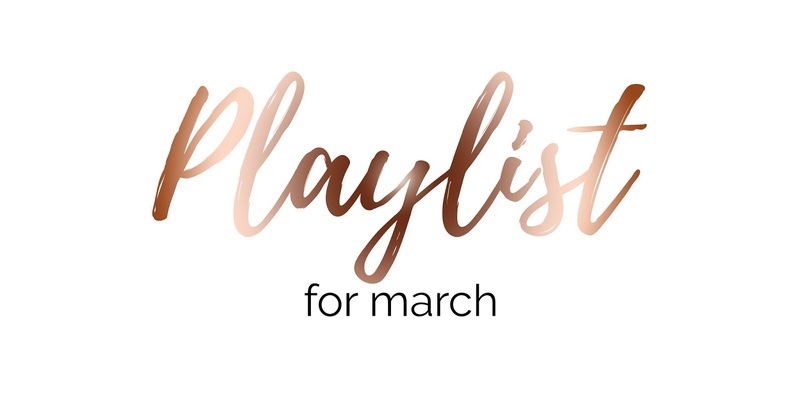 I am still absolutely loving the playlists for each month and I know I have had a lot of people ask if they can do a similar post to this on their blog because they have enjoyed it so much! And to be honest, I'm glad you guys like it so much that you'd like to do one for yourself, because it does make you think about all of the music which is out there and what you're in the mood to listen too! Can't wait to check some of these songs out!